Suitable for 8-12 years only. (Free Entry). 12th May 2012: 10.30am - 11.30am. During the workshop the children will be presented with ideas of composition and musical notation. Composer and performer Maja Bugge will talk about how she works as a composer and how she has been exploring the piano in the shed. 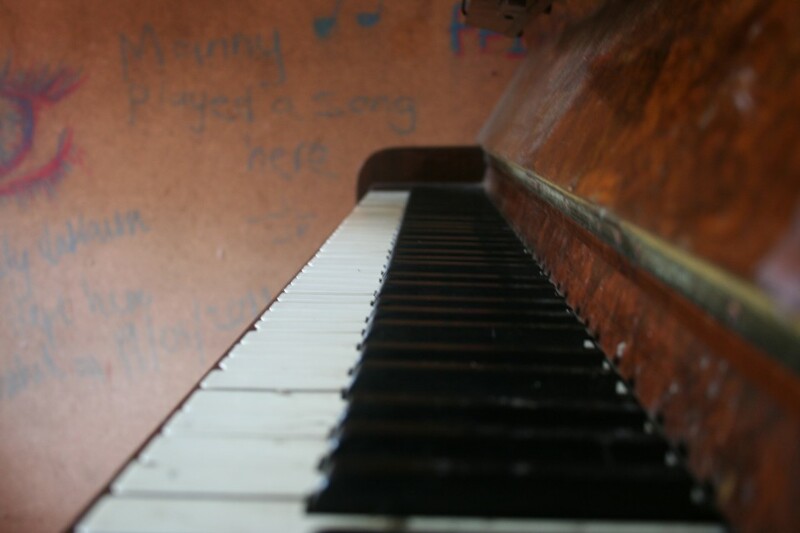 The children will then go on to make their own little pieces in relation to the piano and the shed. These pieces will be performed by the end of the workshop. Performance - for all ages. 12th May 2012: 12noon - 3pm. Max: 5 people per performance. The piano is a 10 minute performance by Maja Bugge. 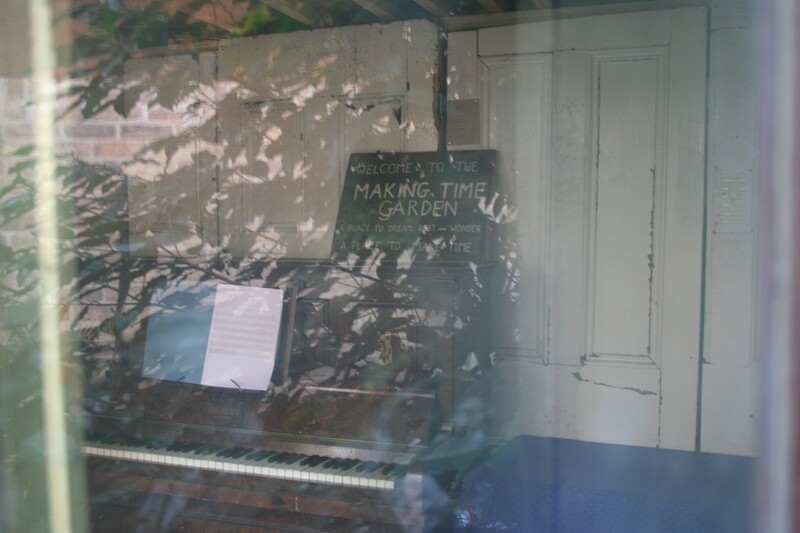 For the last few weeks Maja has worked with the piano placed in the shed of the 'Making Time' garden. On Saturday the 12th of May between 12-3 she will invite small audiences into the shed to hear her composition. Researching a composition for cello and electronics using field recordings from campus as a starting point for the electronic part. 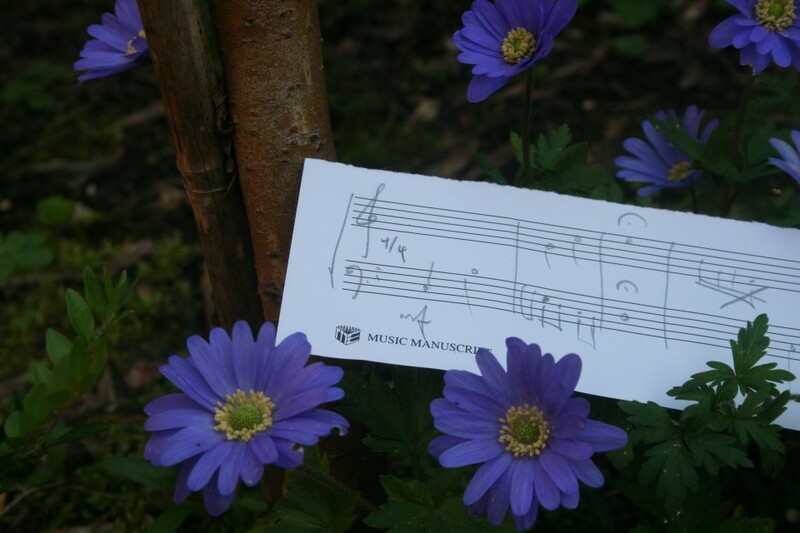 Making a piece for (and with) the piano in the time garden. For the Piano: the instrument is rusty and out of tune. It has had its best days. Bugge wants to explore its limits and possibilities and so reflect on the time it has had in the shed and the gardens. All on its own.